Travis and Charley have just met. It’s Charley’s last night in town, and Travis can’t let her leave without getting her to go on a date. In a future where real people are rapidly being supplanted by lifelike androids, sometimes one shot is all you get. 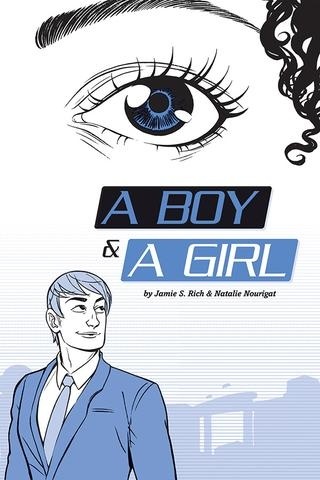 Intelligence may be artificial, but the emotion is real in a futuristic romance from the writer of 12 Reasons Why I Love Her and the cartoonist behind Between Gears.